Ireland's Padraig Harrington made an encouraging start to the Shell Houston Open with a three-under-par 69. 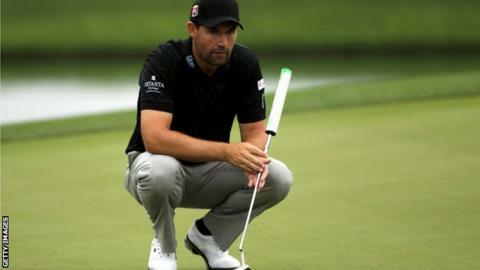 Harrington, 42, who is tied for 38th, must win to avoid missing out on qualification for next week's Masters. Americans Charley Hoffmann and Bill Haas are the joint leaders on seven under par in Texas after hitting 65s. Northern Irishman Rory McIlroy and England pair Lee Westwood and Ian Poulter trail by five shots, with ex-world number one Luke Donald on 71. Three-time Augusta winner Phil Mickelson, who withdrew from the Texas Open with a muscle strain two weeks ago, had an opening 68.